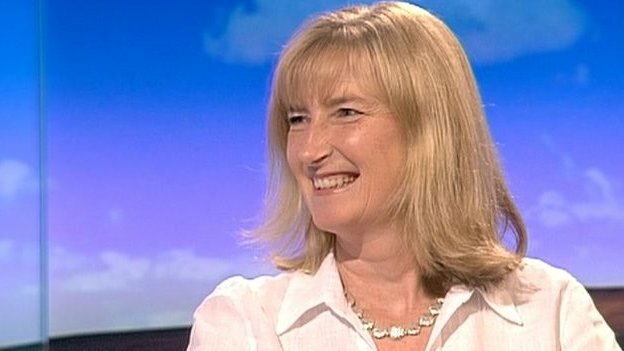 Dr Sarah Wollaston is the answer I give to anyone who lazily tells me that MPs are all the same – venal, greedy, useless, lazy, lying pigs spending their days with their nose in the trough of the expenses system (by the way, I don’t believe they are these things, but I hear it from others too often). Yesterday, her fellow MPs recognised this too – because they voted her as Head of the House of Commons Select committee on Health. This is a cheering outcome for a politician who embodies much of what we should expect from our MPs. The Health Select Committee is an all party committee which holds the Government and health bodies to account on a range of issues from how Department of Health funds are spent to the Health and Social Care Bill, Education and training and Social Care. It’s role is to ask challenging questions on behalf of patients and taxpayers in order to ensure one of this country’s most cherished institutions can be there for everyone when they need it most. As Wollaston pointed out – every 36 hours a million people might use the NHS. It employs the third highest amount of people of any organisation in the world and it has a budget of £95.6bn – which is about 15% of total government spending – so for what it does to be scrutinized by someone as knowledgeable and courageous, and committed to its original intention as Wollaston is a fine outcome. Sarah Wollaston was a GP for 24 years before she decided to stand in the first ever open primary to select a Parliamentary candidate (instead of a small committee voting for the candidate, any member of the local party could vote) – which was held in Totnes in Devon in 2010. Having won the seat, she entered Parliament, and has had an interesting time. She said when she was elected that she would not be afraid to stand up for her constituents and for what she believes in. As such, she has rebelled against the Government on several key votes – voting in favour of a referendum on Britain’s membership of the European Union in 2011, for a cut in the EU budget in 2011 and voting against military intervention in Syria in 2013. She has been a vocal proponent for minimum unit pricing for alcohol and has spoken out against political patronage in Westminster. In 2013, she jointly won The Spectator Parliamentarian of the Year Award for her opposition to a Royal Charter on press regulation. Now, it would be very hard to govern if the governing party was full of Wollastons. Party discipline is important if you are going to make important decisions and get them through Parliament. But there is nothing wrong with having a few Wollastons. The best way to look at how she has conducted herself is that she isn’t bothered about climbing the greasy pole of ministerial positions so she has no need to follow the government line on everything. I imagine when she joined Parliament she wanted to make a difference in the area she knows best – which is health, and to have achieved the position of Chair of the Select Committee on Health before the Parliamentary session is out is quite amazing, but a tribute to how she has stuck to her principles and shown herself to be someone who can really make a difference in that position. It’s not often MPs do something that everyone can recognize is for the common good – but they have here – and I suggest you remember the name Dr Sarah Wollaston – because you will be hearing it a lot more. « How do you solve a problem like Tony Blair?